This one of a kind, polished double terminated Sodalite point pendant was handcrafted in Brazil and is set in a fine .925 Sterling Silver mounting. Double terminated crystal and gemstone points radiate or absorb energy at both ends concurrently, causing them to channel energy in two directions at once. The six sides of a crystal or gemstone point represent the first six chakras. The top termination represents the crown chakra; that which connects one with the infinite and the base of the crystal being ones root or foundation with the Earth. Pendant measures 1 15/16" L - 7/16" W - 5/16" D.
Please scroll down to add this item to your cart. Don't forget to also order one of our Italian made Sterling Silver Diamond Cut Bead Chains, Box Link Chains or Diamond Cut Rope Chains! 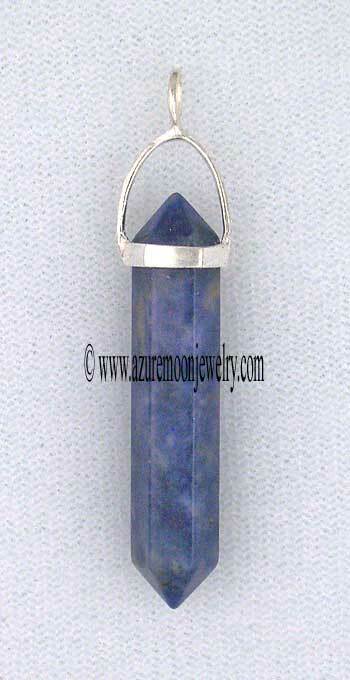 Sodalite is a sixth (brow/third-eye) chakra gemstone. Metaphysical Properties: Sodalite helps to eliminate confusion and to equalize and stimulate ones intellect. 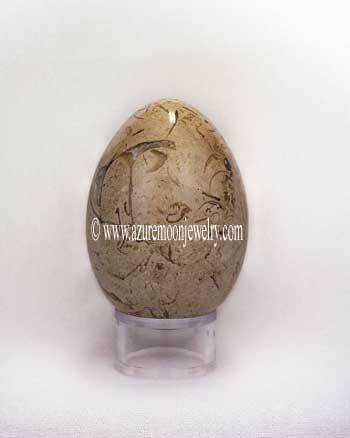 It�s an excellent stone for use in groups and can be used to enhance truthfulness in emotions, allowing one to both recognize and verbalize the true feelings. Click here to learn more about the lore and metaphysical properties of Sodalite and other popular gemstones.